Two owners of new Volkswagen Polos have told us they were not informed about their cars’ potentially lethal seat belt fault. 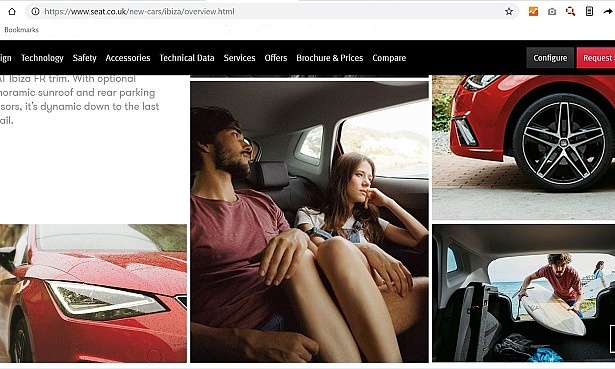 This is despite the Volkswagen Group saying that anyone who bought a VW Polo, Seat Ibiza or Seat Arona from May this year should have been told by the car dealership not to use the rear middle seat. 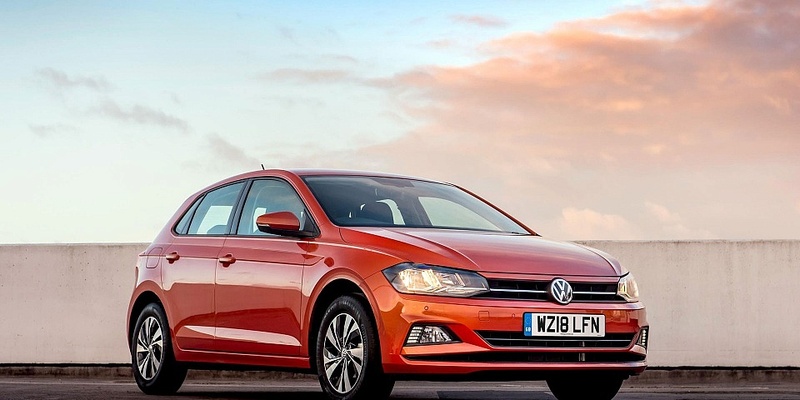 Following our story in August that Volkswagen Group (which owns Volkswagen and Seat) had chosen to keep selling VW Polo, Seat Arona and Seat Ibiza vehicles with a known seat belt fault, two VW Polo owners got in contact with us. Everyone buying one of these cars between May and October this year should have been told by the retailer about the fault, and told not to use the middle rear seat. Customer should have also signed a disclaimer saying they understood not to use this seat. Update: 27 November 2018. VW Group has issued a recall to permanently fix the seat belt fault on affected cars. A spacer will be fitted in the double buckle of the rear seat. Tony (full name withheld) took delivery of his new VW Polo on 6 July 2018. Does not recall signing a disclaimer. We challenged Volkswagen to supply evidence that he had signed a disclaimer, but received no comment. 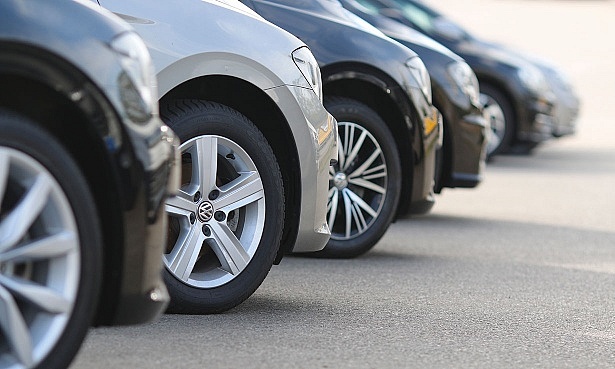 Nearly four weeks after taking delivery of his car from his local VW Dealership, Citygate Ruislip, he received a letter on 2 August saying his car was affected. Tony was shocked to find out his new car was part of a recall. The letter also said that unless the car already had the interim fix – a plastic cable tie around the rear middle and left seat belt buckles – he needed to book an appointment to bring his car in. The tie is not visible and does not stop people using the middle rear seat belt. It also does not eliminate the risk of the seat belt coming undone in an emergency situation, though it should minimise the risk of it happening*. Our unique survey of thousands of car owners means we can reveal the most (and least) reliable cars. Do you think the VW dealership was clear? Tony didn’t know if his car had the interim fix or not, so he complained to the dealership for selling a car it knew to be unsafe, and asked for an explanation and reassurance that his car was safe. 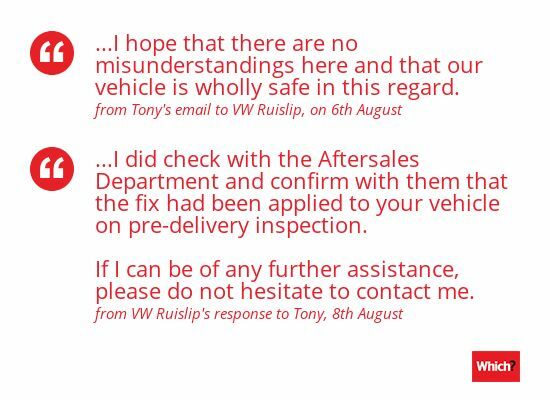 He had a reply from the dealership explaining the fix had been applied before delivery (which is true), but it did not answer Tony’s question over whether the car was ‘wholly safe’. 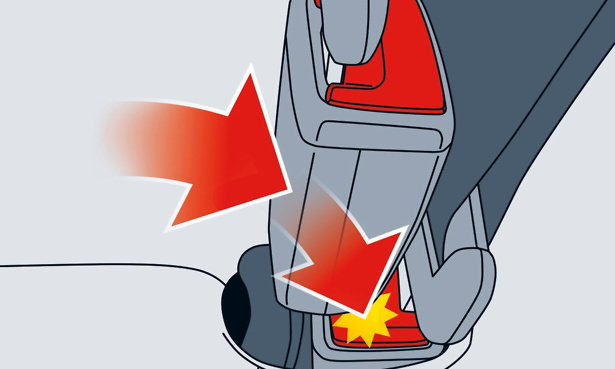 Of course it is not safe, as owners should not use the middle rear seat – even with the interim solution applied. This was not pointed out by the dealer and Tony thought his car was safe to use with all five seats. Volkswagen told us ‘Our records indicate that [Tony] was contacted on or around 23/07/2018 with a notification of the issue and advice around middle rear seat use. He was further written to on or around 31/08/2018 with the dashboard warning sticker’. As part of the interim fix, stickers were sent out to all owners (example pictured below). These stickers warn people about the fault and owners are told to fix them to their dashboard. VW only started sending these stickers out towards the end of August. Tony received his on the 15 September (the letter was dated 11 September) – over two months after taking delivery of his new Polo. This is when Tony realised he should not be using the rear middle seat. Tony complained to the head office of Citygate dealerships, pointing out among other things that he needed a five-seater car. 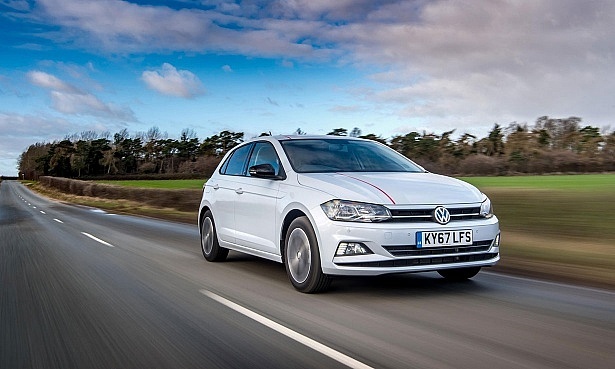 The dealership supplied a VW Golf as a courtesy car until the issue was sorted. On 29 October, Tony was asked to take his Polo back to the dealership to receive what he believed to be the second, permanent fix. But when he arrived, he was turned away. The explanation given was that the Service Department reported it had no seat belt modification kits, as they had all been recalled by VW. We have asked Volkswagen if the parts needed for the second recall have been recalled themselves. VW told us: ‘Regrettably, this was an administrative error. [Tony] will be invited to take his car to his chosen Retailer for the redesigned seat belt lock fixture to be installed as soon as possible. Tony was initially denied the further use of a courtesy car. But after arguing, he was given another Golf. Find out more about our work on product safety. Janice (real name withheld) bought a VW Polo in June and picked it up in July. Like Tony, Janice only became aware of the problem four weeks after she bought it. This was when she had a letter from Volkswagen informing her of the recall. She complained to Volkswagen. It apologised twice in the course of correspondence that followed, for not informing her at the point of sale. Janice wrote to Volkswagen customer services expressing concern that she was not informed at any point during the transaction, adding that she feels badly let down by the dealer and that ‘I expect better’. Volkswagen apologised for not informing Janice about the recall. It also promised the dealership in question would also be in contact. It’s now been over seven weeks, but she hasn’t yet heard from the dealership. Volkswagen Group says it has instructed retailers to inform people at the point of sale that the vehicles in question are actually four-seater cars until the permanent fix (the second recall, that VW anticipates will start in November) has been applied. Subsequently, all new owners should have signed a disclaimer to acknowledge they must not use the middle rear seat. We previously criticised the VW Group (see VW and Seat continue to sell thousands of cars with potentially lethal fault), as we believe using retailers to inform customers at the point of sale is not robust enough. Especially given the serious nature of the fault. During May to October, we discovered little to no public-facing information about the seat belt fault when these cars were being sold. There was no obvious messaging or warning that we could see on Volkswagen and Seat’s main websites. We asked Volkswagen what information it has, or had, published on its websites to notify potential customers. We received no information pertaining to our question. 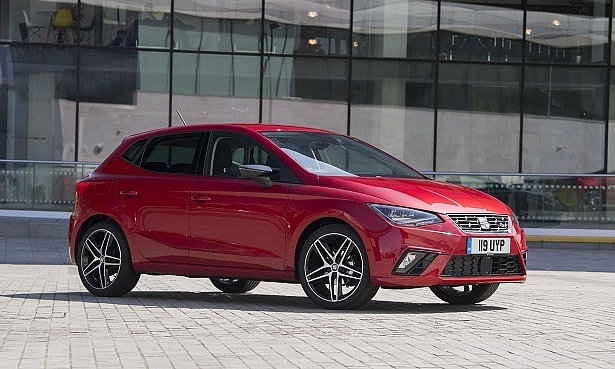 However, we did discover the picture below on the main Seat Ibiza page. This shows the two affected seats (rear middle and rear left) seat in use. Though it is obvious that the car is not in motion, both the middle rear and left-rear seats are being used. As the cable tie solution was enacted as part of an informal recall, as opposed to a formal recall, there was no mention of it on the public DVSA recall database. So anybody checking that database during that time might think their car is not actually affected. The second recall, which Volkswagen anticipates should start later this month, will be listed on the DVSA database. Exclusive: Which? discovered that the plastic cable tie fix was originally proposed as a permanent solution, despite it not solving the problem. We’ve also found that 75,000 cars now need to be fixed and the responsibility now lies with the owners. See what all car owners need to know about how VW handled a seat belt fault. As Volkswagen Group has decided to keep selling cars, as opposed to suspending sales until a permanent fix was found and implemented, there are now 75,000 cars that need to be recalled to receive the second, permanent fix. This is an increase of over 55,000 people from when the issue was discovered in May. As of November, Volkswagen Group will contact all affected owners to ask them to bring their car in to receive the fix. But as there is no legal obligation to respond to recall, the responsibility now lies with these consumers to follow through. 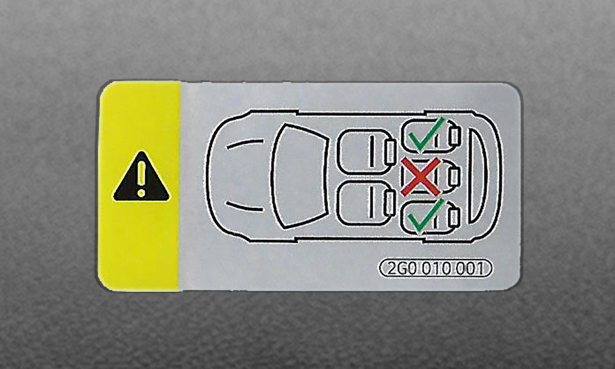 Finnish magazine Tekniikan Maailma discovered in May 2018 that the rear-left seat belt in the Volkswagen Polo, Seat Ibiza and Seat Arona could accidentally come unbuckled under certain conditions. The situation can occur when the middle and rear left seats are occupied, and the car makes an abrupt lane change, at high speed. Volkswagen Group quickly confirmed the fault and planned two recalls. The first recall comprised of bringing cars back in to fasten the rear seat belt buckle with a plastic cable tie. Separately, stickers would be sent to owners to attach to the dashboard. The sticker is approximately 2.5 inches long. It warns people not to use the middle rear seat. The second recall is due to start this month (November), six months after the fault was initially confirmed. This will replace the seat belt buckle entirely and means people can use the middle seat again. Read our expert, independent new and used car reviews. Volkwagen Group will contact you to arrange the permanent fix. If you have any concerns, contact your dealership. You will not be charged for the fix. DVSA’s Head of Vehicle Engineering, Neil Barlow, said: ‘DVSA’s priority is to protect everyone from unsafe vehicles and drivers.